Has generally been good. Last week I had the return of morning sickness for a few days followed by a couple of days of painful varicose veins in my foot! So generally good, yoga has been helping and I’ve also been swimming twice this week. We had a consultant appointment inc scan at 32 weeks. All seems fine, bean is measuring fine but was in breech at the time but plenty of time to turn! Heading back at 36 weeks. So far I’ve put on about a stone and a half. Seems about right, last time I put on two stone in total. A haul at Aldi’s baby/toddler event including storage units, bottles, weaning set, sleep suits! Aldi toddler and baby haul! I collected our Emma’s diary packs which are great as they’ve got lots of little samples from breast pads to GAP baby socks to washing detergent! I got sent some free Water Wipes to try out with the newborn, heard lots about these so looking forward to trying them out. I bought Gurgle magazine the other week and it came with a free shower gel which will be perfect for post-birth as it’s fragrance-free etc. A friend has kindly given me some newborn vests/bodysuits hand-me-downs etc and lent me a Moby baby carrier/wrap which I’m looking forward to trying out. I’m definitely in the nesting phase, which is handy as we have quite a bit of sorting and re-arranging to do. Bean’s stuff all needs to fit into W’s room etc. Still need to pick up the car seat from our friends. Sorted out work and handed over most of what I need to hand over…. Only got 8 days left in work now! Feel ready to finish but totally not ready for the baby! As I said we have a mini babymoon today. Next week we’re off to Bluestone for a few days to celebrate W’s second birthday! 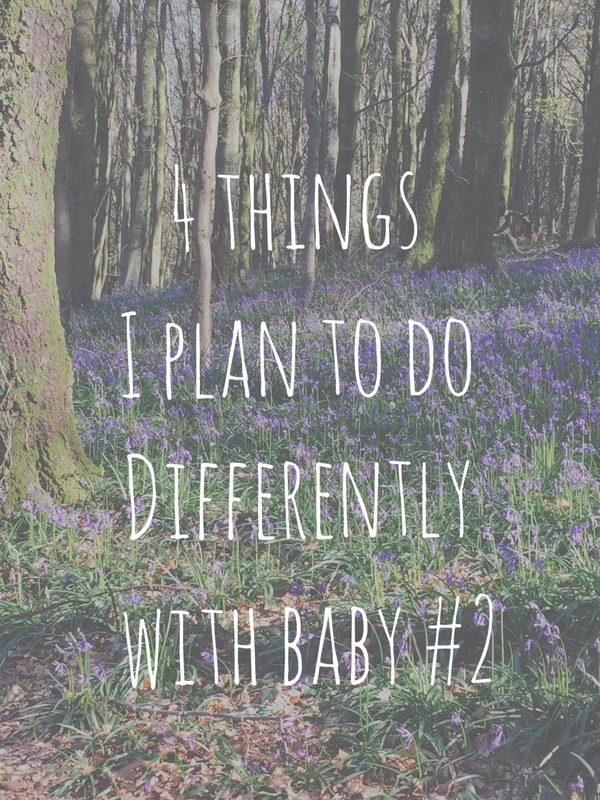 As baby bean’s arrival gets closer, I’ve been thinking about what I would and wouldn’t change. I think our overall approach will obviously depend on baby but hopefully I will breastfeed again and go down the baby-led weaning route. 1- Babywearing – I really wanted to try this with W, I did loads of research and a friend lent me a beautiful woven wrap but I just didn’t really try it/get into it. In my defence it was a hot summer and some days were uncomfortably sticky so prob not the best time to try it. This time around, I hope I get into it for all the benefits it brings… Plus it could really help with logistics as it will leave my hands free to chase W around! 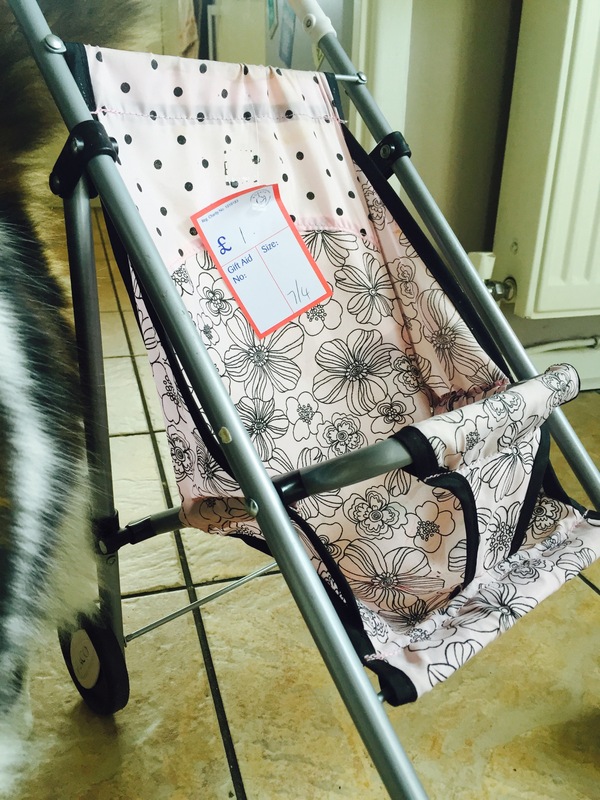 I’m going to start with something a bit more structured than a wrap… A friend has lent me a Moby and I’m tempted to try the Tula and/or Close Caboo too and see which one I get on with! 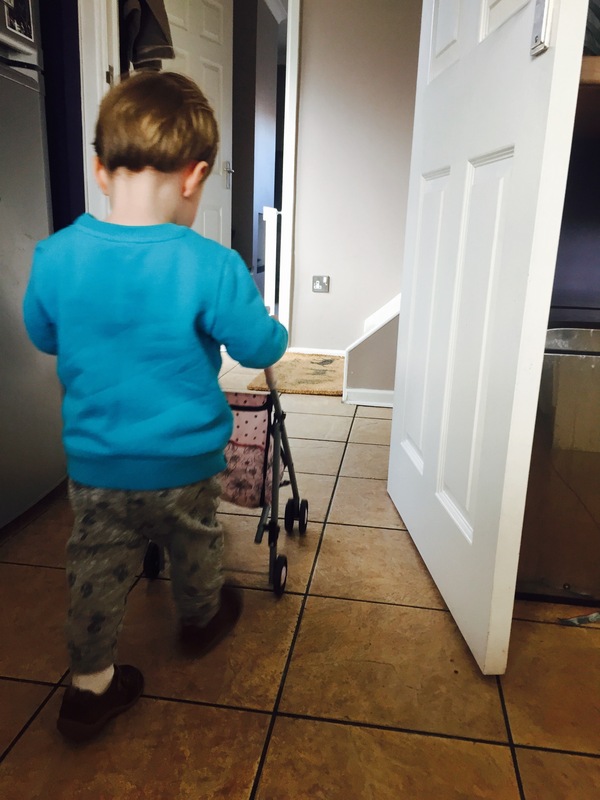 2- Amber for teething – whenever W was teething, those days felt like some of the hardest days for him and toughest parenting days for me… He was inconsolable, we went through lots of nurofen, milk and he’d finally be happy if he slept for hours on end. So assuming that same happens with bean, I’d love to try him with an amber anklet. I know some people think they’re nonsense but I think why not give it a shot?! I know there’s a lot of fakes out there but I’ve got a list of recommendations to check out! 3 – Getting fit – I’m lucky I have a good metabolism and last time around my body shrunk back pretty quickly (breastfeeding helped too!) but I am so unfit!! Years ago I used to love doing Bodypump (weights class) plus a bit of cardio and yoga… So my body was much more toned. After I had W I suffered with a bad back for ages… The time around I might be a bit stronger having gotten used to picking W up, but nonetheless once my body’s healed and my stomach muscles are back together, I’d like to get toned again. I’m also hoping it will give me the added bonus of some extra energy through all the endorphins! 4 – Relaxing – and…. Relax! Last time around, I did loads of classes with W, some days we’d have two classes on! As much as I enjoyed it, I think I put myself under too much pressure to keep busy, make new friends (pointless – I didn’t make any!) and somehow prove myself to be a superhuman yummy mummy. All I did was probably tire myself more than I needed to! This time a couple of besties will be on mat. leave too, but apart from catching up with them I plan to be a bit more selfish and lazy, resting up and savouring every moment knowing that we’re not planning on any more after this one! What did you do differently second time around? As W gets closer to turning 2, he’s starting to outgrow a lot of his 18-24 month clothes. And his little brother is due in about 8 weeks time, we still need to get his newborn stuff down from the loft but every newborn needs some new clothes right? So… I’ve never bought anything from La Redoute before but a few weeks ago they had 40% everything so the perfect time to try them out! And for his big brother W… Not just cacti t-shirts (paid £7.20, full price £12) but cactus leggings paid £6.60, full price: £11) too! Back to baby bean, I couldn’t resist these USA vests (paid £9.60, full price: £16) and got them in size 1 month… They look so tiny!! So that’s all our La Redoute stuff, very impressed we got all that for £56! We haven’t used any of it yet so can’t comment on the sizing or post-wash quality but I loved their range and they feel good quality! And for W, again more leggings/joggers covered in bicycles! (£6.99) And some cute roll-up lightweight summer trousers with boats on them (£6.99) I got both of these in his current size (18-24 months) as he’s usually a few months behind in his bottoms compared to tops! And staying with W, I noticed Zara had a sale on so obviously I couldn’t resist! The only thing we got in the sale was this quirky crocodile/animals hoodie for £6.49. Full price we got a lion jumper with cute back detail (£8.99) and you guessed it, more leggings (£6.99) to grow into… Probably his craziest pair yet! I know I don’t usually write about our ordinary weeks or weekends, but this weekend has been just lovely and I wanted to make sure I remembered it as nothing overly memorable happened! After 3 weeks of illness it’s been so nice to get out and about, plus the weather was ok, plus it won’t be too long before I’m too pregnant to do much 😉 So…. 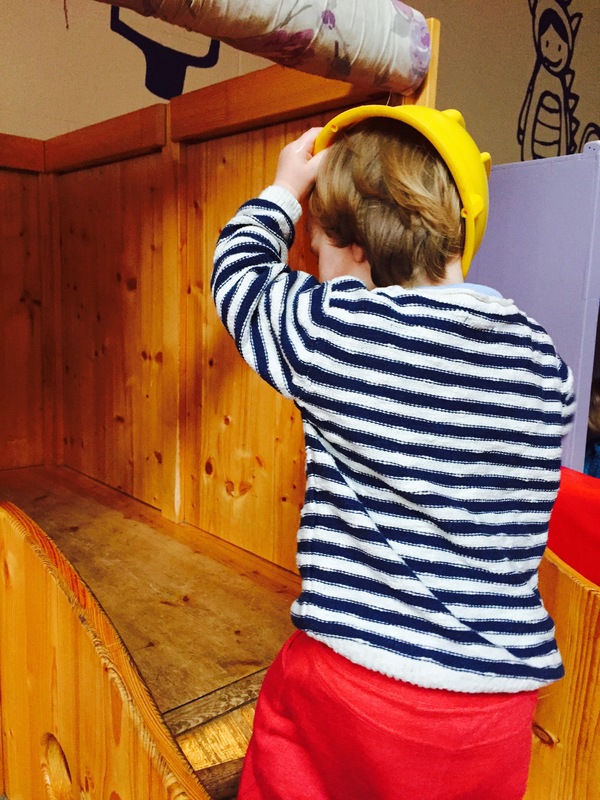 Friday – my weekly day with W. In the morning we went to a NCT bumps and babies group in Cafe Junior because they were also having a Sling library and babywearing is something I’d like to try with baby 2. So I got a demo of the Tula, close caboo, mei tai and I’ll try and try them out myself closer to the time, maybe without W there… He was a little bit clingy but only because it was so busy in there… School holiday madness! I’d timed it to get home in time for his daily noon nap but on getting home realised that we were locked out. Typical our neighbour who’s always in and has a spare set was out! So I spent the next hour basically driving around Cardiff picking up a spare set from family – so annoying! I’ll blame it on baby brain! After W woke from an epic 3.5 hour nap (he hadn’t slept great the night before) we went over to catch up with one of my besties and her two girls, who I hadn’t seen for months! Was great to catch up, and although W was a bit clingy for a while after about an hour he finally started playing with her eldest daughter and it was just so lush watching them playing, chasing each other around, hiding and screaming! Saturday – W had another really bad night’s sleep which basically meant I didn’t get any sleep after midnight, lucky that I’ve suffered from insomnia for years! 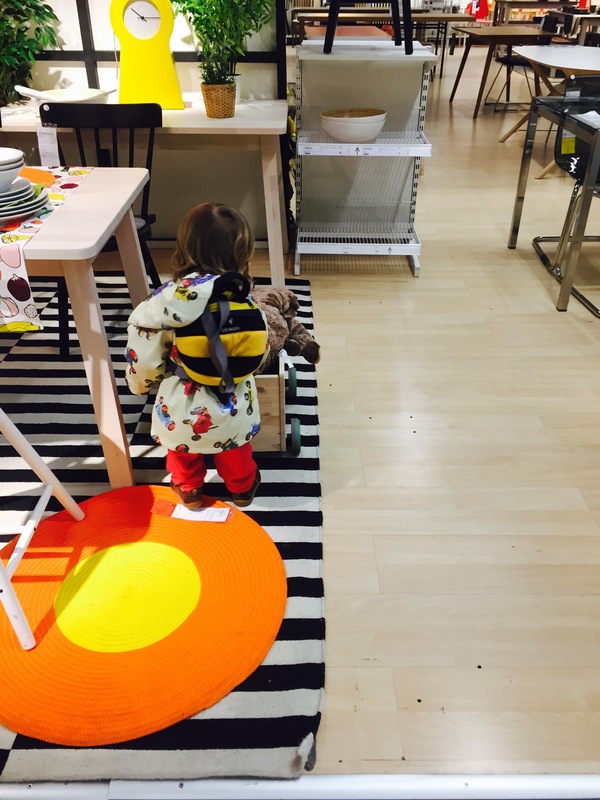 We were up at 7 and by 9 we were in IKEA... I wanted to check out some storage options for his toys and baby’s clothes. It was lovely and quiet and so W had a great time running around, playing in the rooms and clambering over displays like stacks of rugs! We called at my sister’s nearby on the way home and he loved this as she’d put Peppa on tv for him (he’s obsessed with her!) and got a load of books out (Peppa, gruffalo) AND she’d bought him a cute little tool kit from Tiger! That gave us free entry to Cafe junior and it was nice and quiet as it was sunny outside so W enjoyed playing around while dada and I had hot drinks and cakes… Bliss! Then….. It was poo time… He hadn’t pooed all week (he does have these phases of constipation at times) so we’re half expecting it… He’d been in pain earlier int he day with it. My OH kindly dealt with the poo and said it was HUGE! Five minutes later and he’d pooed again, another solid performance 😉 then he had a third…… But we’d only brought two nappies with us, we never usually need more than two for a couple of hours out! So I felt awful that he had to keep sitting in his poo for the 20minute car ride home bless him! 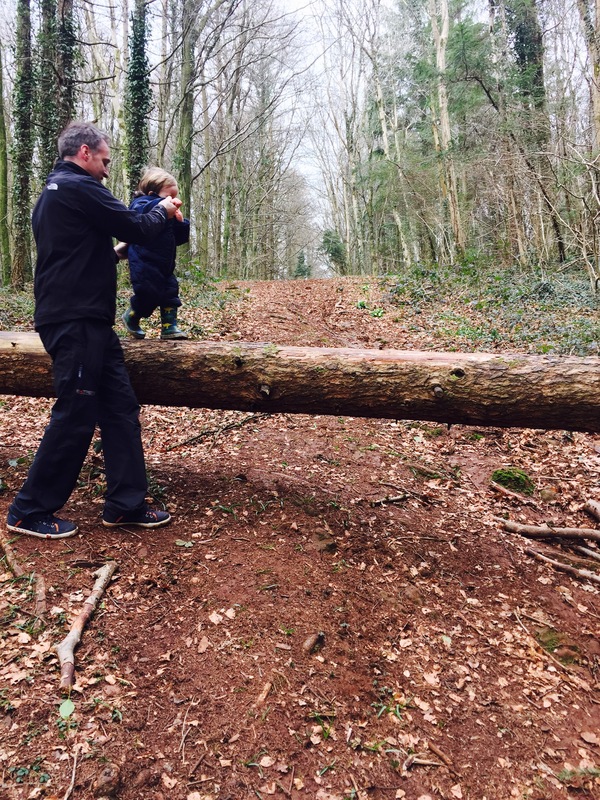 Sunday – in the morning we went to check out a local forest – Forest fawr walk – where I wanted to check out the sculpture trail but daddy and W headed straight into the woods… Lots of fun with ‘stick man’, kicking leaves, walking on logs etc! And again, W made plenty of people stop and chat and smile when he started chatting to their dogs etc. A lovely walk, only a 5-10 minute drive away, free parking and peace and quiet…. Bliss! Cardiff mummy says wrote a great blog about this place if you’re interested. And his cuteness didn’t end there… When he dropped some of my crisps and I asked him to pick them up, he ran off into the other room and came back with our handheld dyson to vacuum them up, that made me LOL! Even today after work he made me smile, as we headed out into the garden to play he said ‘towel’ and pointed at his car and said ‘water’ (there was rainwater in there) clever boy!